What types of miniatures do you create and why? 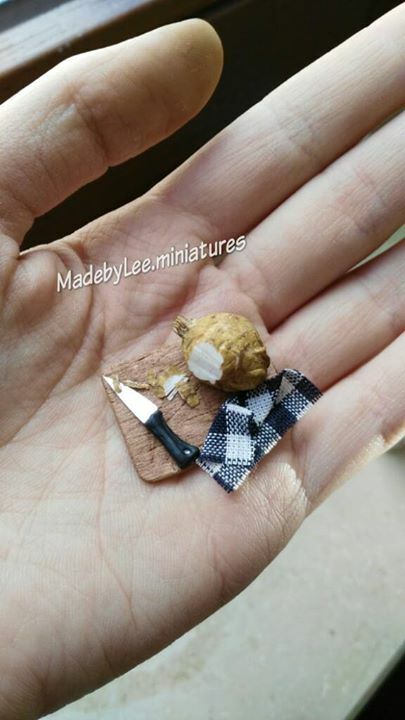 Right now, I make polymer clay food, dollhouse furniture and other various miniatures. I find it very fascinating to create food miniatures, and I think I’ll keep on doing that. On the other hand, I’m planning to develop my skills by making other types of miniatures. Polymer clay, wire, metal, wood (often balsa), cardboard, and paper. How long have you been been creating miniatures? I started making clay charms in August 2013. In November 2013, I created my first miniature scene.